Lennon Crane and Equipment Co. has helped build the Pacific Northwest and Western Canada as a trusted project partner since 1975. 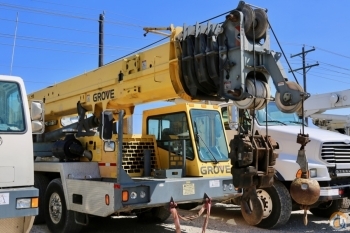 By providing quality late model rough terrain cranes with a strong emphasis on customer service, Lennon Crane has enjoyed balanced and sustainable growth for nearly four decades. We offer one of the most diversified and well-maintained rental fleets in the region. With late model Grove and Tadano cranes ranging from 30 to 90 tons, we offer an array of lifting solutions for both short-term and long-term projects. Our specialization in 'bare rentals' allows increased flexibility and value for customers and the successful completion of their projects.